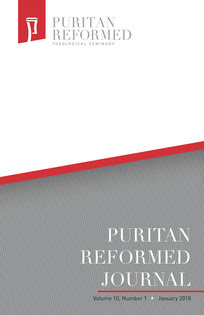 The article version of the paper I present last year at Houston Baptist University’s theology conference titled "The Ending of Mark as a Canonical Crisis" has just come out in the latest edition of Puritan Reformed Journal Vol. 10, No. 1 (January 2018): 31-54. I have uploaded a pdf of my article to my page at academia.edu (look here). You can also find the pdf of the entire PRJ issue here or order a hard cop of the issue here. I also posted an abbreviated audio version of my paper presentation last year as WM 72 (see this blog post with link to audio here). In our present day, this renewed challenge to the Traditional Ending of Mark has created a new canonical crisis. I believe it is reasonable and right to advocate for a new consensus to emerge which reafﬁrms the Traditional Ending of Mark as the authoritative, ﬁtting, and canonical conclusion to Mark. Such a consensus would again provide consistent and authoritative translations to be read by God’s people both privately in personal devotion and publicly in corporate worship and would allow ministers to preach this text with conﬁdence as the Word of God.